Passengers wait for buses at Citilink's transfer station on Superior Street, Thursday. Citilink is reporting slightly increased ridership this year. You may know the story of James Robertson. 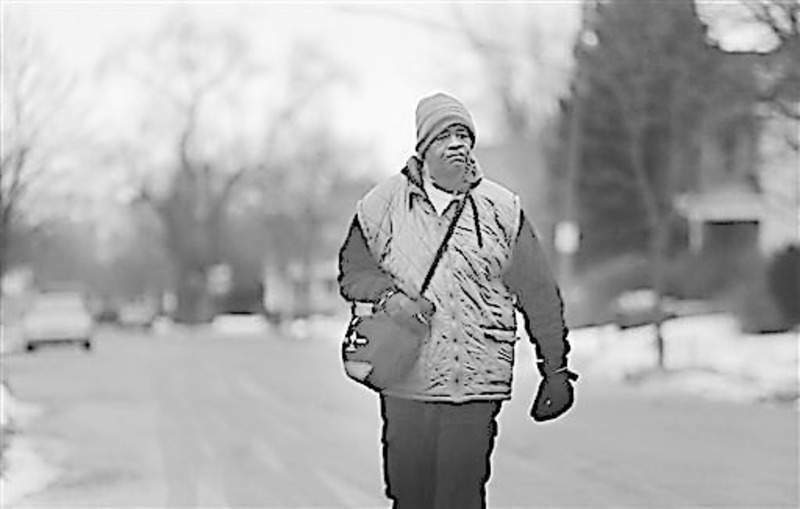 The Detroit Free Press recently told how the 56-year-old man walked 21 miles a day to his factory job. A bus route covered just two miles of the commute, and his car broke down a decade ago. The newspaper story prompted more than $350,000 in donations to a crowd-funding effort to buy Robertson a car. The distance he walked made the feat notable, but Robertson isn’t the only devoted employee or student at the mercy of underfunded public transportation. A Ball State University survey found more than 60Ã¢ percent of Indiana public transit users depend on service for work or school. Gov. Mike Pence’s proposed budget cuts 3 percent from public transit – spending that has remained flat for seven years. House Bill 1215 would wisely increase funding to the Public Mass Transportation Fund. The increase would begin to restore a share of the money lost when the state severed the connection between transportation funds and state sales tax revenue. Betsy Kachmar, assistant general manager for Citilink, said the proposed increase would amount to about $890,000 for the city bus service, or enough to restore 30-minute service on one route. In 2008, Citilink raised fares and cut service on multiple routes from the half-hour to the hour. Increased support best serves Indiana workers. The study by Ball State’s Center for Business and Economic Research found that about a third of public transit riders use bus service more than five days a week. The typical rider, according to the study, is a 19-34 year-old woman earning less than $15,000 a year and with no other transportation. "I’ve been in conversation with folks from Citilink who have advocated for more funding in the past as well as some local transit groups in my district," said Rep. David Ober, a co-author of the House bill and a member of the Ways and Means Committee. "I think it’s important to support these services for our citizens to get to work, see their doctor or purchase groceries. I have received several messages from local transit groups who support the increase in funding and believe it will positively impact the many people they serve." Senate Bill 478, authored by Sen. Liz Brown, R-Fort Wayne, is another promising approach. It offers additional transit funding through tax increment financing districts. Indiana’s Public Mass Transportation Fund is distributed among 65 public and nonprofit agencies to operate traditional fixed-route services, such as Fort Wayne’s Citilink. It also supports on-demand service, including Noble County’s Noble Transit, through which people schedule rides in advance. Greg Parker, executive director of the Noble County Council on Aging and Noble Transit, said the state appropriation helps provide 17 vans – 16 of them equipped for wheelchair users. About 55Ã¢ percent of the riders are seniors, most traveling to medical appointments. "We also take some kids to school and some people to work," Parker said. "I don’t think people know about public transportation in rural communities. There are 43 counties with services like ours." With more money, Noble Transit could expand its services; Citilink could provide more frequent service and operate past 9Ã¢ p.m. on weekdays, past 7 p.m. on Saturday and offer Sunday routes – service that would benefit many residents working outside a 9-to-5 schedule. If Indiana is truly a "State that Works," it’s important to ensure its workforce has safe and reliable transportation to and from the job. Sound investment in public transit is an investment in jobs.